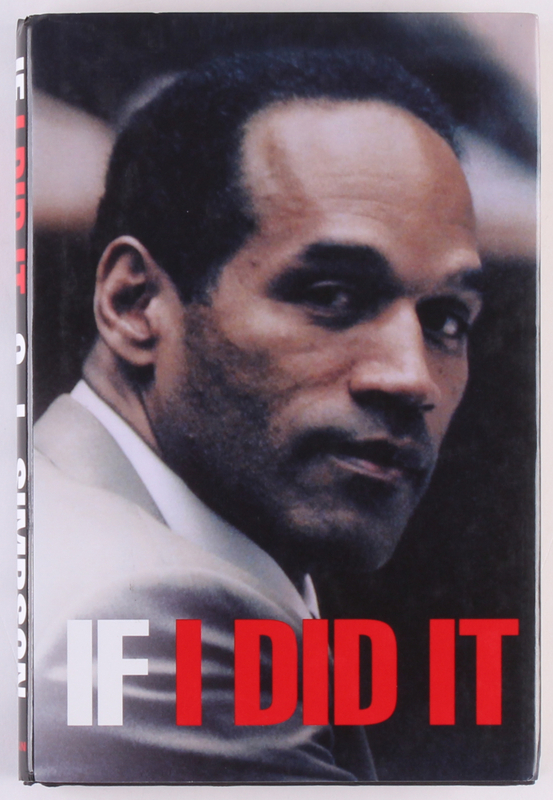 O. J. Simpson First Edition "If I Did It" Hard Cover Book. 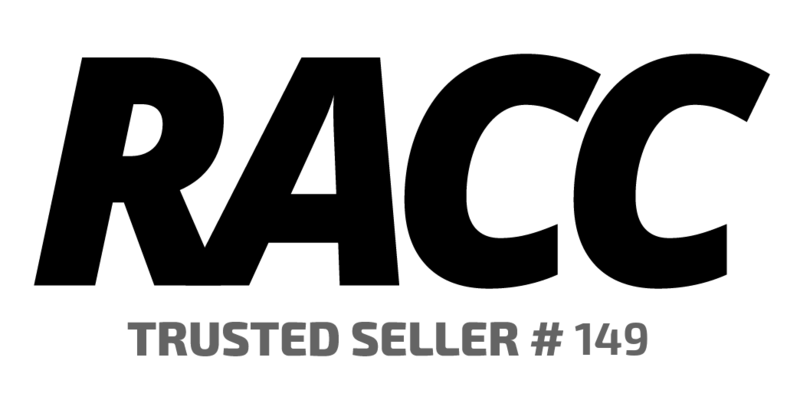 If I Did It, re-titled If I Did It: Confessions of the Killer in later issues, is a book by ghostwriter Pablo Fenjves and by O. J. Simpson, in which Simpson puts forth a "hypothetical" description of the murders of Nicole Brown Simpson and Ronald Goldman. 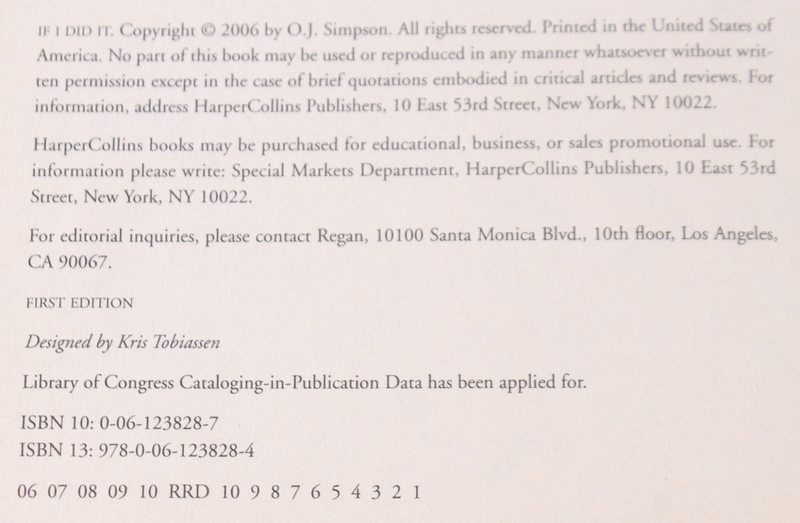 Simpson's former manager, Norman Pardo, claimed that Simpson was not involved in writing the book, but rather accepted, against Pardo's advice, $600,000 from the ReganBooks and News Corporation to say he had written it and to conduct an interview. 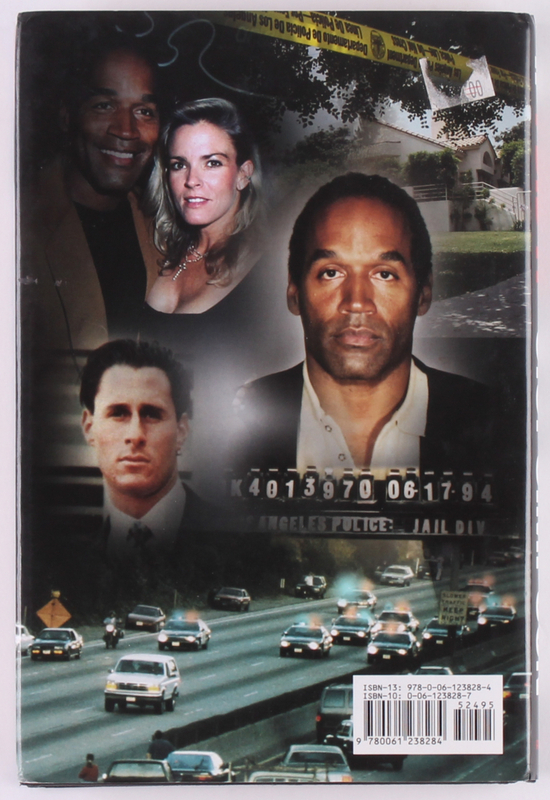 Simpson was acquitted of the murders in a criminal trial (California v. Simpson) but later was found financially liable in a civil trial. 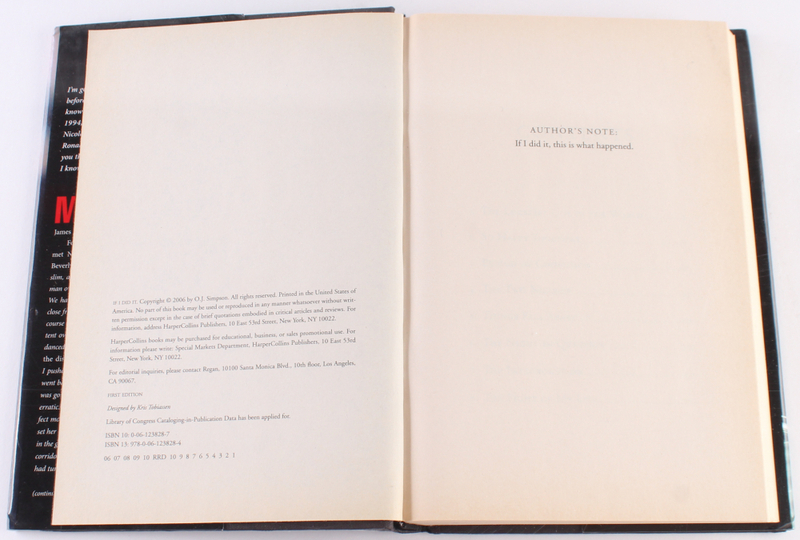 Although the original release of the book was cancelled shortly after it was announced in November 2006, 400,000 physical copies of the original book were printed, and by June 2007, copies of it had been leaked online.